Products > Harger > Ultrashot Provides Dramatic Labor Savings! 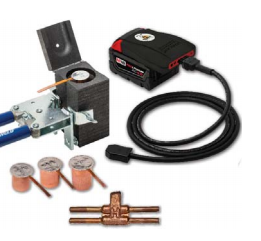 Harger’s Ultraweld UltraShot exothermic welding system provides superior grounding connections that last the lifetime of the grounding system. A major benefit of the UltraShot process is that the installation time is 40% to 50% faster than the traditional exothermic welding process!